Te Puea Winiata is an influential Māori woman, whose leadership gives hope and inspiration for us all to improve, advocate and promote Māori health and wellbeing. Her wisdom, knowledge and passion permeates all her professional and personal roles and responsibilities. Te Puea as Chief Executive of Turuki Health Care, a Māori health provider in South Auckland, recognises that health outcomes cannot be achieved in health alone and need to include housing, employment and education. This led to initiatives like working in schools to prevent rheumatic fever, and creating access for whānau to general practitioner or primary care. Te Puea acknowledges collaboration and partnerships are required to achieve health outcomes. Another initiative was a partnership with a tertiary institute providing clinics on campus for Māori. 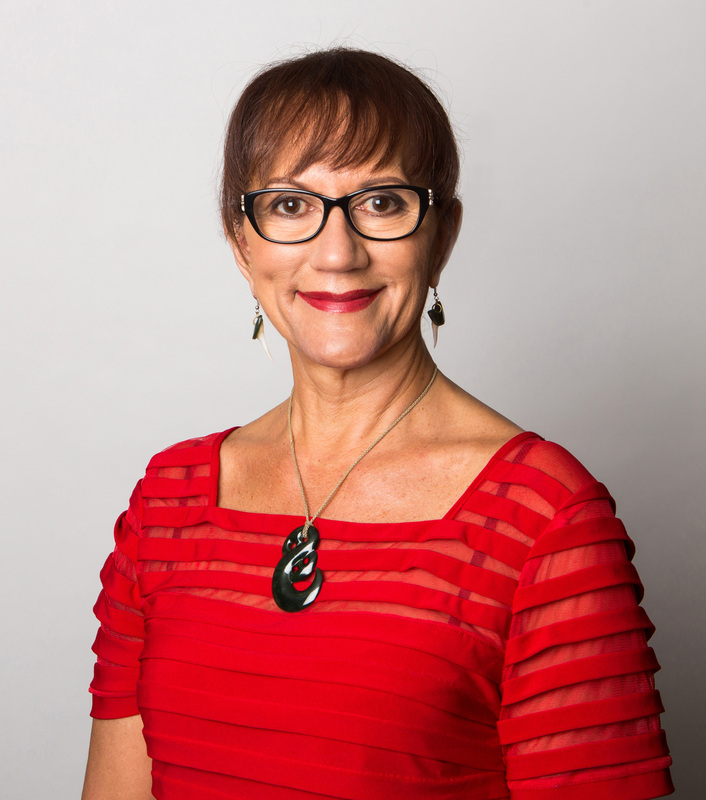 Te Puea is Chair of the Board of Directors for Te Rau Matatini, a National Maori Health Workforce Development Organisation, providing leadership, strategic vision and direction for Māori health and its workforce. In 2015 Te Puea was put on the world stage representing Māoridom in the Healing Our Spirit Worldwide – Seventh Gathering3 in Kirikiriroa, Hamilton. As a Māori woman leader her grace and demure was admired by Indigenous leaders from across the globe. Like many modern Māori leaders, Te Puea’s obligation is also to support, inspire and influence her own whānau, hapū and iwi. Te Puea was raised by her whānau with strong upbringing in te reo me ona tikanga Māori. Te Puea continues to embrace her cultural values and beliefs and applies these into a leadership style that encapsulates characteristics of her own tipuna and rangatira. Te Puea Winiata is a rangatira, who is visionary and intelligent, who expresses empathy and integrity in everything she does. This legacy is renowned by her colleagues, and one that her whānau, hapū and iwi, can be proud of. I am honoured and privileged to know, and say that she is a leader who I aspire to. Te Puea would humbly say that her successes in her professional and personal lives are not hers alone but are attributed to her whānau, tipuna, mentors and leaders that have influenced her life.